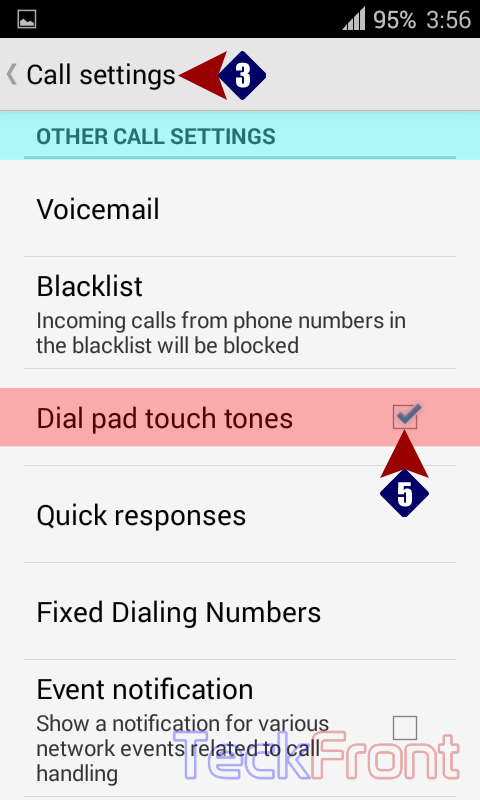 How to Enable / Disable Dial Pad Touch Tone in Android KitKat Phone? Some people feel dial pad touch tones to be annoying. Ok, no problem. It is easy to get rid of these touch tones in Android KitKat 4.4.2 smartphone. Command Line: Phone Dialer > Settings > Call Settings > OTHER CALL SETTINGS – Dial pad touch tone. 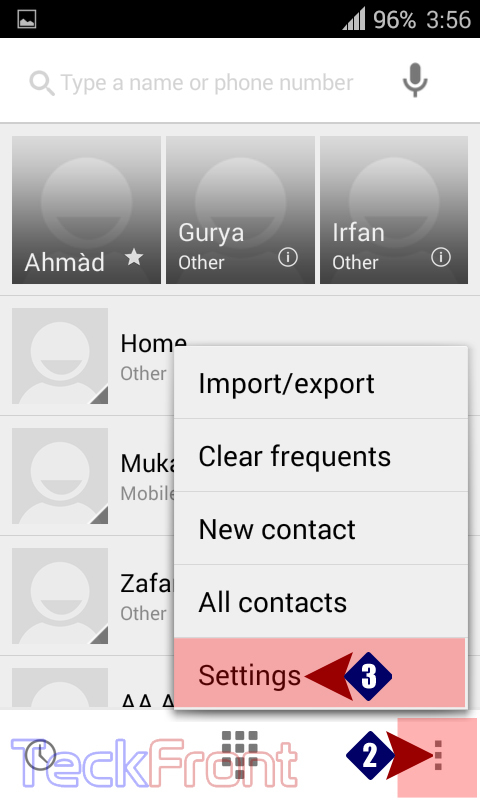 1: Tap the ‘Phone Dialer’, available on Home screen of your smartphone to open up the ‘Phone Dialer’ screen. 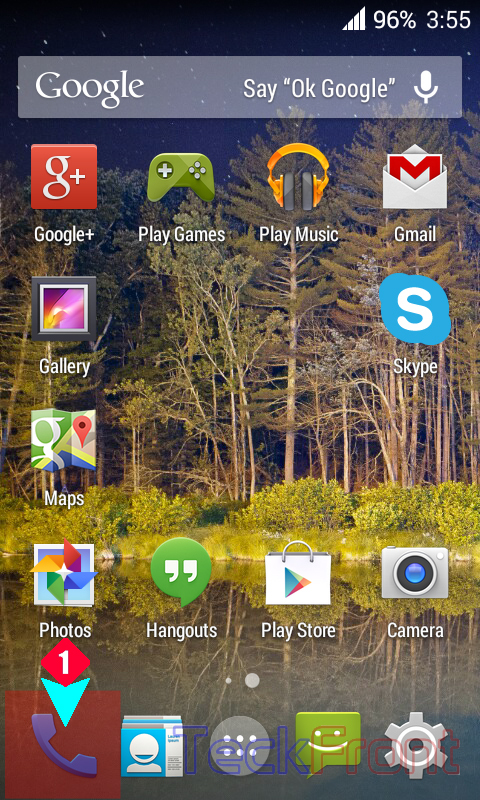 2: Tap the ‘Settings’ button, available in the right bottom corner of your Android phone. It will open up a popup menu. 3: In the popup menu, tap the ‘Call settings’. 4: At the ‘Call settings’ screen, see the ‘Dial pad touch tone’ under the OTHER CALL SETTINGS is not checked and is disabled. 5: Tap to check the ‘Dial pad touch tone’ and it is enabled. 6: To disable the dial pad touch tones, reverse the process, given above. Newer How to Answer a Call with SMS-Quick Response-in Android KitKat phone? 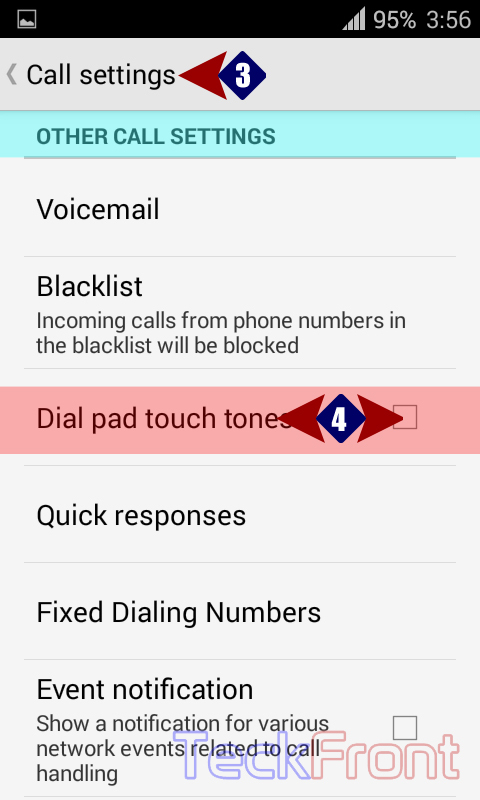 Older How to Add Voicemail for Always to Your Android KitKat 4.4.2 Phone?